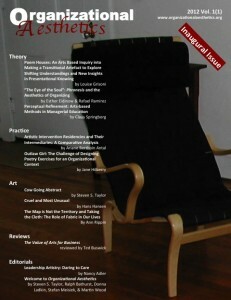 Published paper in Organizational Aesthetics. It is a literature review in which I ask what unique contributions art-based methods offer to management education. Arts-based methods are increasingly used to facilitate meta-level learning in management education. Such increased use suggests that these methods are relevant and offer a unique contribution meeting a need in today’s management education. Yet, the literature is not clear on what this unique contribution is, even though it abounds with suggestions of varying quality. To explore this matter, I conduct a systematic literature review focused on arts-based methods, management education, and meta-level learning. I find that the unique contribution of arts-based methods is to foreground and facilitate the process of making and expressing more refined perceptual distinctions, not to get accurate data, but as a meta-level learning process in itself. This finding is important, because it implies that using arts-based methods to facilitate other meta-level learning processes, e.g. reflection, critical reflection, or transformative learning, may limit the potential of such art-based methods. It is also important, because it suggest that future research regarding arts-based methods could focus on exploring the impact of perceptual refinement on, e.g., managerial practice, managers concepts of managerial tasks, or managers competence in carrying out managerial tasks. < Previous What do we know about art-based methods in management education?